Smt. 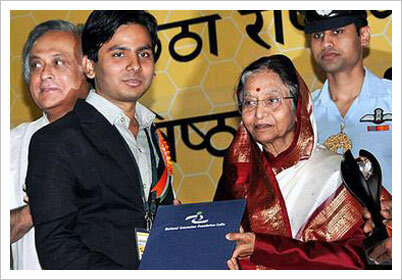 Pratibha Patil always felt the need to encourage rural innovators by tapping their innovations and finding a market for their products, especially such products that have applications at the grassroots level. 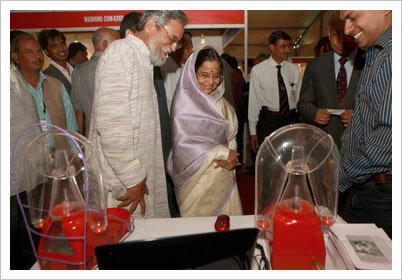 At the time of opening of the Mughal Gardens in Rashtrapati Bhavan, the National Innovation Foundation has been setting up an Exhibition of Innovations since 2010. This was perhaps the first time ever that a Head of State encouraged and hosted such innovations. This was in consonance with the Vision of Smt. 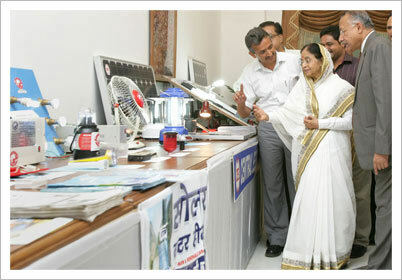 Pratibha Patil and the inspiration received following the declaration of this decade as ‘The Decade of Innovations’. 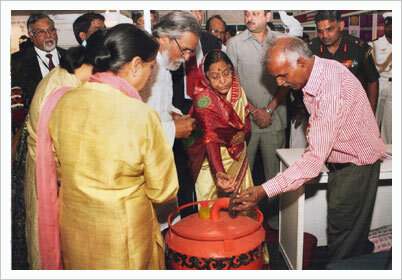 The Head of the National Innovation Foundation, Prof. R. Mashelkar, lauded the efforts of Smt. 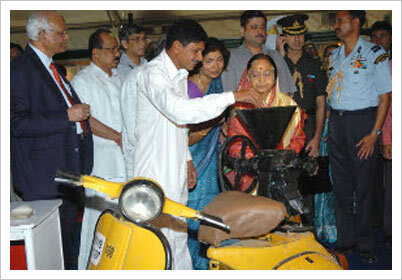 Pratibha Patil and stated that since these innovators have been encouraged by her, they have been able to garner industry support to replicate and commercialize their products. On Smt. 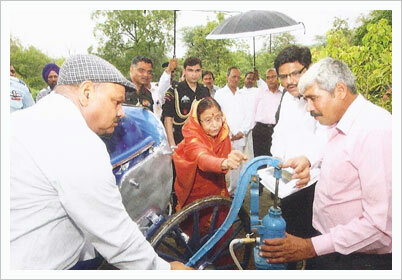 Pratibha Patil’s suggestion, innovators from Haryana and Madhya Pradesh devised a low cost manual mobile irrigation system by modifying pull up rickshaws with a hand pump, water sprayer, etc. 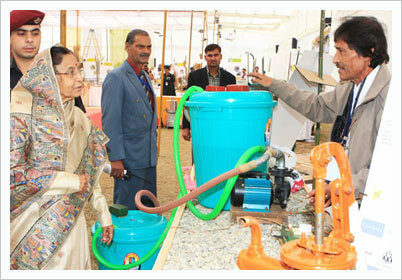 and also a self-propelled mobile irrigation system with the help of a 105 HP engine mounted on self-designed chassis and a mobile rain gun fitted with water tanks. She examined such irrigation devices which are going to benefit small and marginal farmers for improving the productivity in future.